In today’s electronic music world there are not many artists who can lay claim to a legacy like that of DJ T. During a career spanning three decades he has not only injected every inch of his being into the music industry, traveling the length and breadth of the planet to spread his gospel, but he has also been responsible for setting up some of the most prominent platforms in the business and kickstarting the careers of numerous international stars through them. He has been a key member of the collective who launched Get Physical Records, the brains behind Groove Magazine – one of Europe’s premier electronic music publications and Frankfurt’s only proper House club of the new millennium, the unforgotten Monza club, which was also active in Ibiza for many years. Despite all his activities in the music business, DJing, event organization, journalism, club ownership, label management and A&R, T. has never gotten tired with extending his impressive catalogue of releases, which demonstrates his diverse range of sounds drawing on his extensive experience of collecting and playing music. In the last 15 years, he has released three albums and curated numerous compilations. The recent years saw his music coming out also on prestigious labels like AUS Music, Moon Harbour, Poker Flat, Truesoul and Jackathon, representing his continued desire to push his creative boundaries. 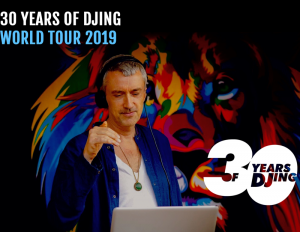 From the beginning of December 2018, T. will celebrate his 30 years of being in the DJ game as a professional player. He will kick of this celebration with a 5 month long tour in North & South America. From May 2019 he will continue touring Europe, Asia and other nearby territories. Don’t miss the opportunity to be part of it!